Get excited! 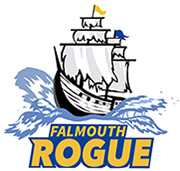 The 2016 season will kick off this week with the first Falmouth Rogue practice on Thursday from 5:30 – 7:00 pm at the old middle school on Lunt Road. This first practice will be a classroom meeting where we will watch some videos, talk about the season ahead, go over Player Packets, and get our discs. Players need to bring an empty three-ring binder that they will use as their team notebook over the season. We will be practicing in the high school (Sundays) and middle school (Thursdays) gyms during the preseason, with our first indoor practice on Sunday, April 3rd at 3pm. The last preseason Parents and Players meeting will be held tomorrow, March 29th, at 6pm in the Falmouth Community Library on Lunt Road. This will be a repeat of our earlier meeting this month and is designed for those who were unable to attend that session. Previous Previous post: FMS Travel is now “Falmouth Rogue”!